One thing I think we all can agree on from a nutritional point of view is that it is important to include vegetables in a healthy diet. And I also think it is fair to suggest we all want our kids to eat and enjoy their greens (and yellows, reds, blues and browns for that matter). But it can be difficult to get our kids to eat vegetables. For some kids…exceptionally difficult. So this blog post is dedicated to providing you ideas on How to Include Vegetables in the Lunchbox. 15 of them in fact! Before we delve into the ‘how to’ of the How to Include Vegetables in the Lunchbox, let’s talk briefly about why we include vegetables in a healthy diet. Vegetables are a major part of a healthy diet. In fact vegetables, in addition to grains, are what we should be eating the most of. Not only is it important to eat ‘plenty’ of vegetables in a healthy diet it is also important to add a variety of vegetables. 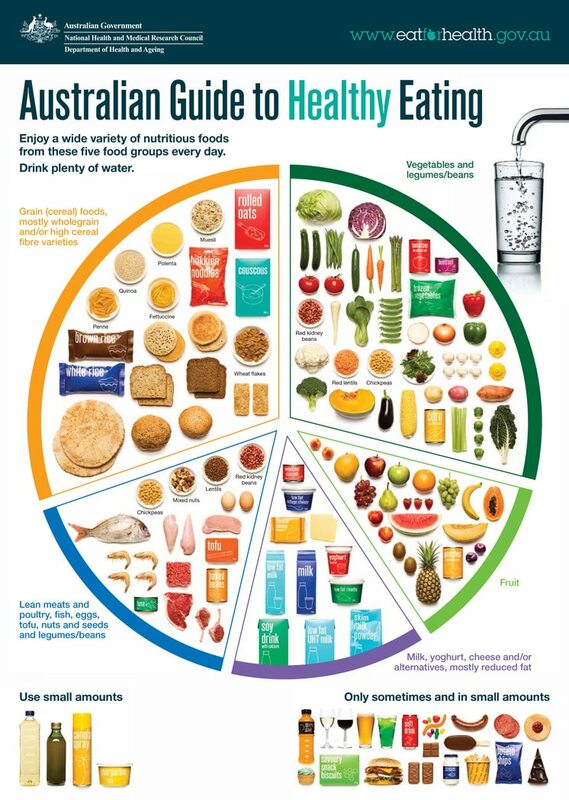 This will ensure we are receiving essential nutrients, minerals and vitamins in relatively low energy food (Australian Dietary Guidelines, 2013). Unfortunately, many children are not eating the recommended amount of vegetables. In fact, many adults are not as well. How can I get my kids to eat veggies? I recently conducted on a poll on Instagram asking if you thought your children ate enough vegetables and around 75% of respondents felt their children did not. So how do we get our kids to eat them? This is the million dollar question isn’t it? As we all know it can be challenging to get our children to even touch vegetables, let alone eat them. If I could develop a no fail magic potion to get your kids to love to eat vegetables and sell it I would be a very rich lady indeed #showmethemoney. But it is not as simple as a magic potion. From what I have read, and in my experience, the best way to get your children to eat vegetables is through repeated exposure. Someone who is far more experienced and credible than I am, Kate Wengier, dietitian, Mum and owner of Foost (affilitate link) really breaks this down well and you can read the full article here. I would urge you to as it is a really great read. If you are interested, you can also purchase What if Vegetables Were People (affiliate link) written by Kate and her children. This is a great picture book designed to increase vegetable awareness and acceptance and also includes step by step instructions to help parents. If you use my affiliate code goodiegoodielunchbox you will get 10% off your order. So it is important to expose our children to vegetables. And this is where we come in. We need to offer vegetables regularly. And ideally a variety of vegetables need to be offered throughout the day. Enter the lunchbox. Your vehicle to offering vegetables. So let’s break this down and talk about How to Include Vegetables in the Lunchbox. So my first tip of How to Include Vegetables in the Lunchbox may seem super obvious. And it is. Offer raw and cooked vegetables in the lunchbox very day. I aim to include at least two vegetables in the lunchbox each day. Make a side salad with some vegetables (adding pasta or fruit to the salad always makes salads much more appealing to Mr 6). Cut vegetables into sticks or into shapes to bump up the fun factor. I found a great crinkle cutter that just pimps up those carrots that little bit more. Another idea to offer vegetables in a fun way is to thread them on to skewers – I love Stix (affiliate link) – they make eating veggies super fun. If you use my affiliate code GOODIE you can get 10% off your order. While your children may not eat raw and cooked vegetables initially, as we have already discussed, the key point is to consistently offer a variety of vegetables and expose your children to these on a daily basis. Also a little tip for you, if (and when) the veggies come back from their outing to school don’t throw them away, offer with afternoon tea or put them in a salad to have with dinner. We love to include the following vegetables in the lunchbox as snack foods. But of course this is not an exhaustive list! I have another blog post dedicated to 10 Wrap Filling Ideas for School Lunches if you are looking for some more inspiration in this area. My third tip of How to Include Vegetables in the Lunchbox are dips! Dips are a fantastic way to get some more vegetables in the lunchbox. One of our favourite dips is Sweet Potato Hummus, but you could also include guacamole, vegetable based pesto (make sure they are nut free if your school has nut restrictions) or salsa. They all count toward your vegetable intake. You can also include vegetable dippers to truly bump up the nutrient factor. 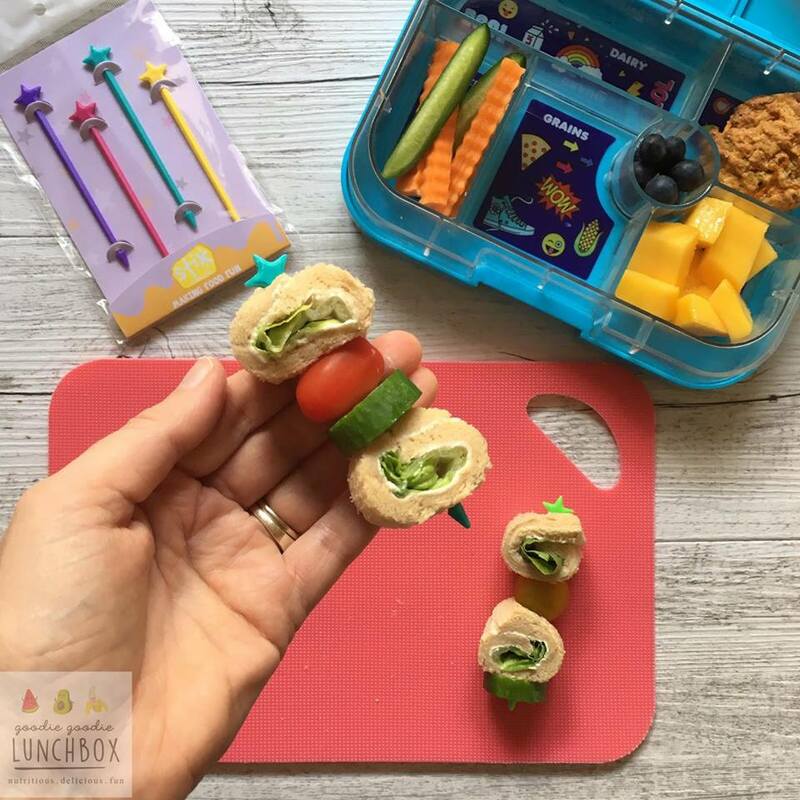 Savoury baking lends itself to include vegetables in the lunchbox and a great way to ‘package’ vegetables for your kids. 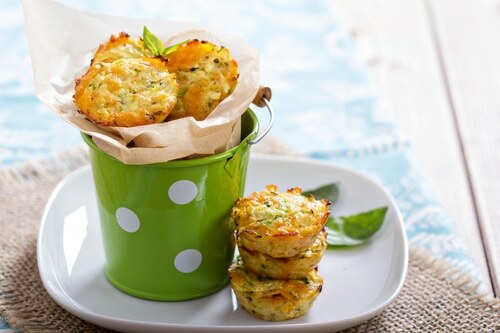 I love to serve my Cheese & Vegetable Lunchbox Muffins instead of a sandwich to my kids. 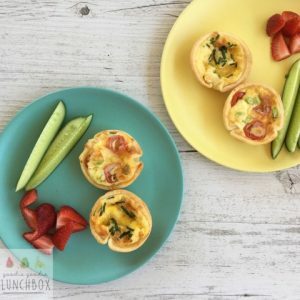 Here are some other delicious savoury muffin recipes that are fantastic lunchbox options for you to try too – yummy Carrot Cheese and Chives Muffins by Kidgredients, Vegetable Savoury Muffins by Healthy Little Foodies, delicious Cheese and Cauliflower Muffins by Little Kiwi Lunchbox and these scrumptious looking Cheesy Vegetable Muffins by Little Peeps Eats. Of all the ways of How to Include Vegetables in the Lunchbox serving sweet muffins is possibly the easiest way for me. 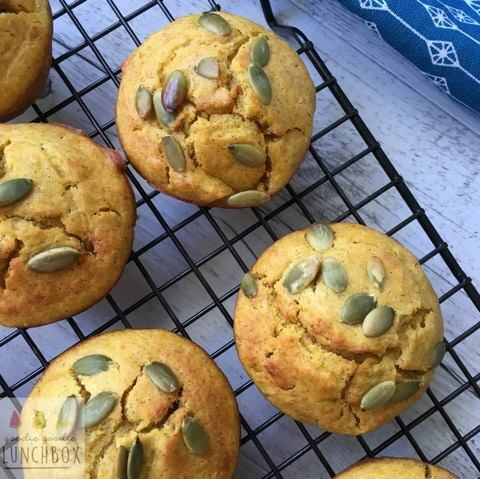 These dairy and nut free and totally delicious Pumpkin and Coconut Muffins are a massive hit in our house. Blink and you’ll miss them. If you think you could tempt your kiddos with chocolate try Chocolate Beetroot Muffins by Natural Super Kids. 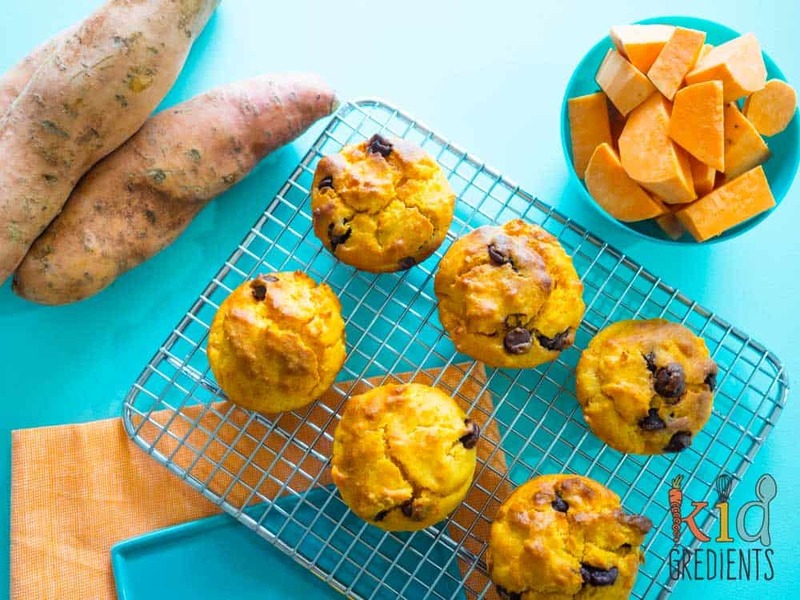 Or why not try these delicious Sweet Potato and Chocolate Chip Muffins by Kidgredients, they look sensational and who can resist chocolate chips?! Another option for including vegetables in baking that is really kid friendly are crackers. These Carrot Cheddar & Poppy Seed Crackers are favourites in our house. The carrots add a subtle sweetness but really I just taste these cheese in them. And who doesn’t love cheese?! 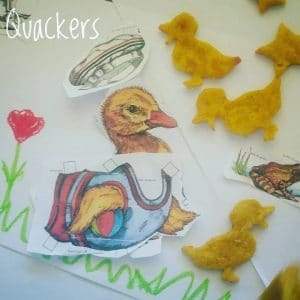 I love making fun shapes with the crackers to appeal to my kiddies. You could also make delicious Butternut Squash Cheesy Oatcakes by Sneaky Veg Blog, they are made with just three ingredients. 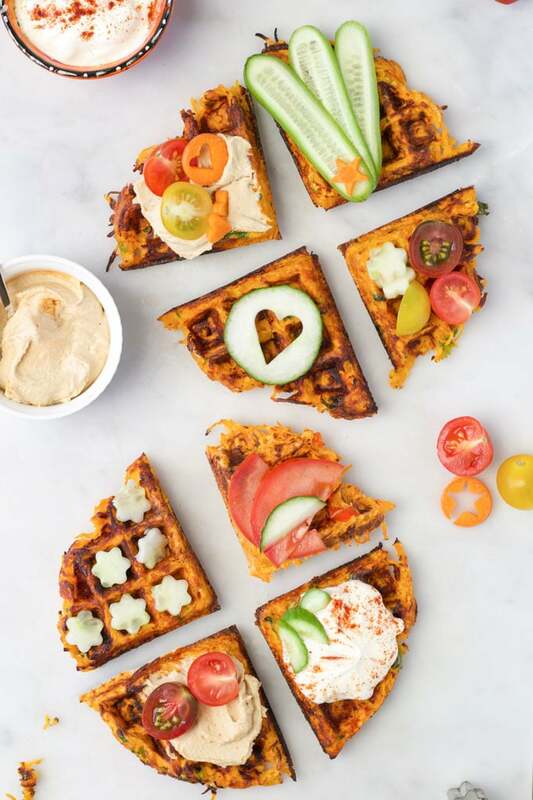 And I love these adorable Sweet Potato Crackers by Play with Food – almost too cute to eat! 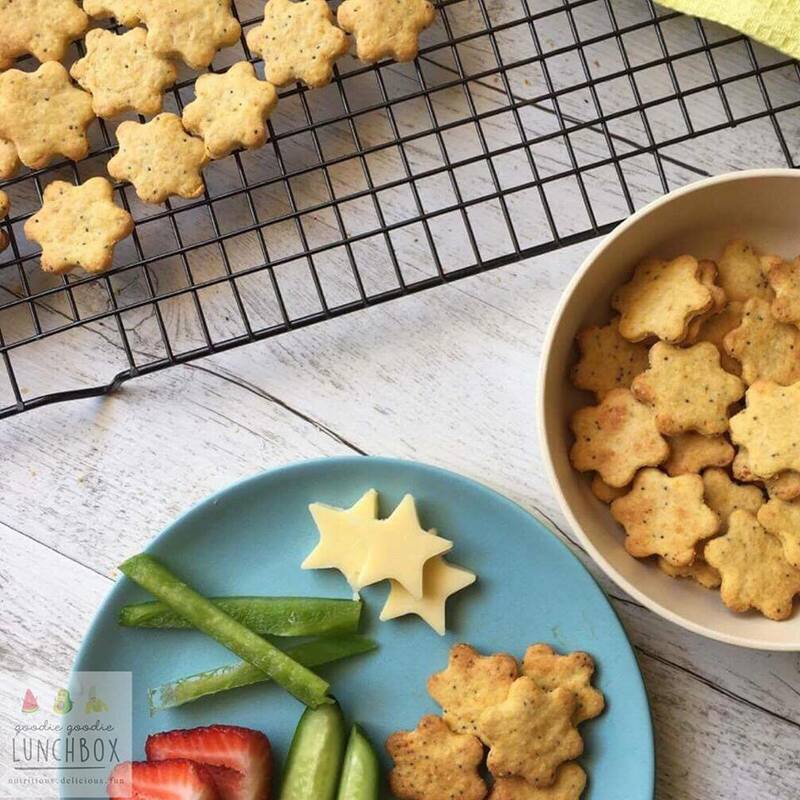 Tip number 6 of How to Include Vegetables in the Lunchbox is cookies! I am all about balance. I think a bit of home baking in the lunchbox is fine. And even better when there are some vegetables in the mix. These delicious Carrot Oat Cookies are so good and I love that you can actually see the carrot in them. 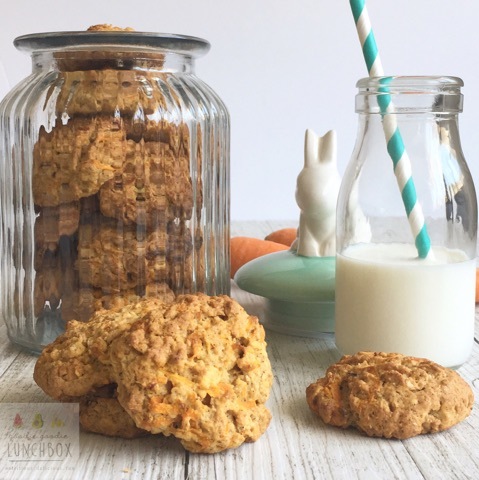 If you are looking for more cookie recipes why not try Sneaky Veg Blog’s Orange Sweet Potato Cookies. 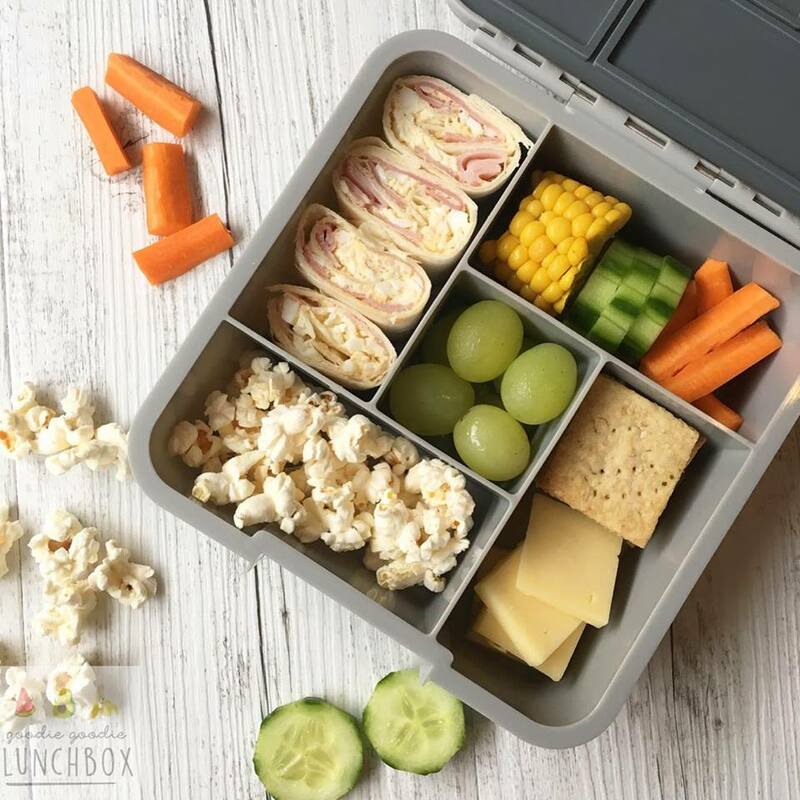 Still looking for more ideas for How to Include Vegetables in the Lunchbox? Don’t worry, I’ve got you covered, keep reading! Now I have not made these, but I used to love making donuts when I was younger so these great recipes are on my to-bake list! You should check them out too Baked Pumpkin and Honey Donuts by Play with Food and Vegan Baked Healthy Donuts with Beetroot by Sneaky Veg Blog. 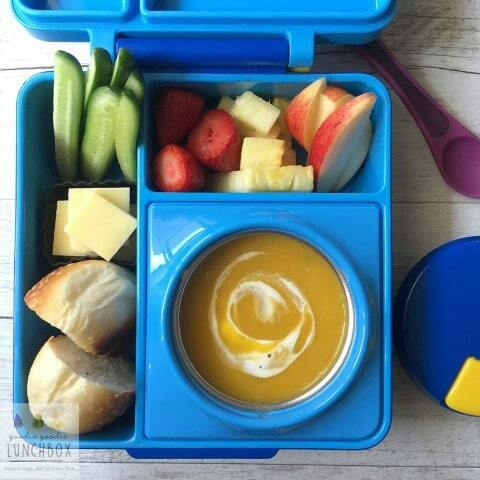 Soups are another great option for the lunchbox and to pump up the veg factor. They are hearty and perfect for those winter months. This delicious Pumpkin Soup (recipe coming to the blog very soon) is Mr 6’s favourite. There are some really good insulated food jars and lunchboxes on the market and they are great to have for serving soup at school. 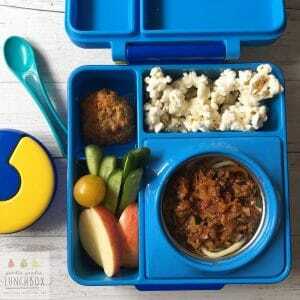 Another great option for lunchboxes that is often overlooked is leftovers. 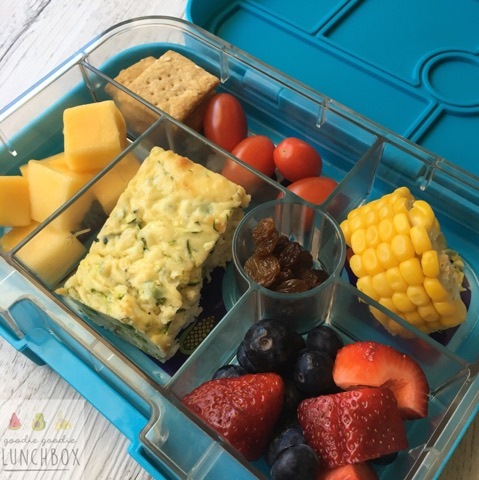 If you have some leftover veg loaded Bolognese or Veggie Mac and Cheese why not send that along to school in an insulated lunchbox or food jar? What number are we up to? Tip number 10 of How to Include Vegetables in the lunchbox is this great idea for Savoury Waffles from Healthy Little Foodies, such an inventive way to offer vegetables. How are you going? 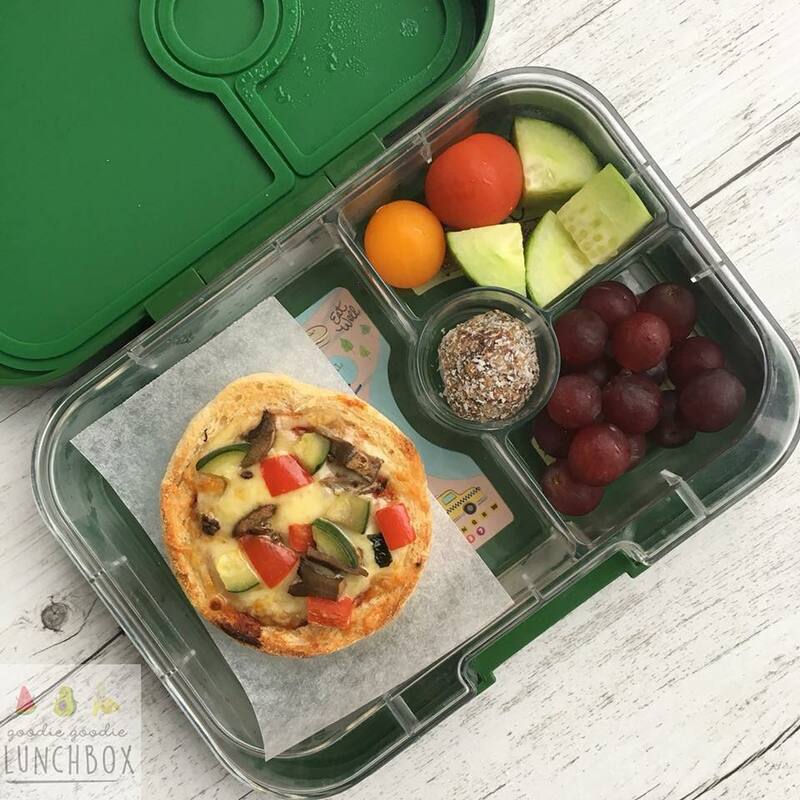 Still looking for more ideas of How to Include Vegetables in the Lunchbox? My Quick and Easy Lunchbox Quiches are a great way to get vegetables in the lunchbox. I like these hot or cold and I serve a variety of vegetables in them. These quiches are great because they are so adaptable. You can add your kids’ favourite vegetables and then slowly adjust to more unfamiliar vegetables. Pastries and scrolls are a great way to offer vegetables to kids. 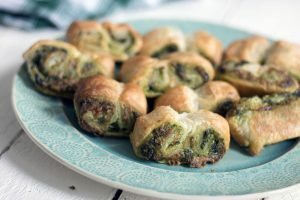 I love these Easy Spinach Pesto Puff Pastry Palmiers from Sneaky Veg Blog – they would be a hit in my house! 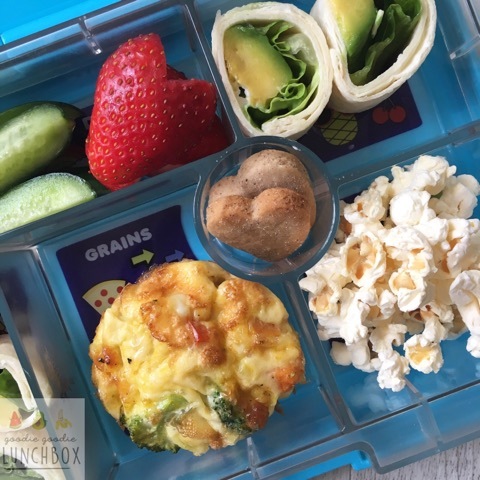 Vegetable Muffin Tin Frittatas are also a great option for the lunchbox. You can make them jam packed with veg or work more with your picky eaters by only having one vegetable at a time. My Zucchini Pea and Ricotta Slice is absolutely delicious. It is one of my favourite lunches. It’s a pity Mr 6 won’t even try it. But don’t let that discourage you from trying this with your kids, I am not letting it discourage me! I will keep offering it and exposing Mr 6 to this protein packed veggie filled meal. When I am offering this though I do make sure that this is offered with no pressure and I normally only include a small portion (snack size) along with a sandwich. My last tip of how to get vegetables in the lunchbox is by Pizza! Pizza is a fantastic way to get some extra veggies in the lunchbox and these pizza topped English Muffins are so easy and will ALWAYS be eaten. Check out this blog post to learn how to make these Pizza Topped English Muffins. Phew, that is a lot of ideas for How to Include Vegetables in the Lunchbox! I really hope this blog post helps you getting vegetables in the lunchbox and ultimately into your children’s tummies. For more ideas for school lunches check out my School Lunch Guide. Finally, and most importantly, I just wanted to say: don’t judge success based on what does or does not come home in your kids lunchbox. 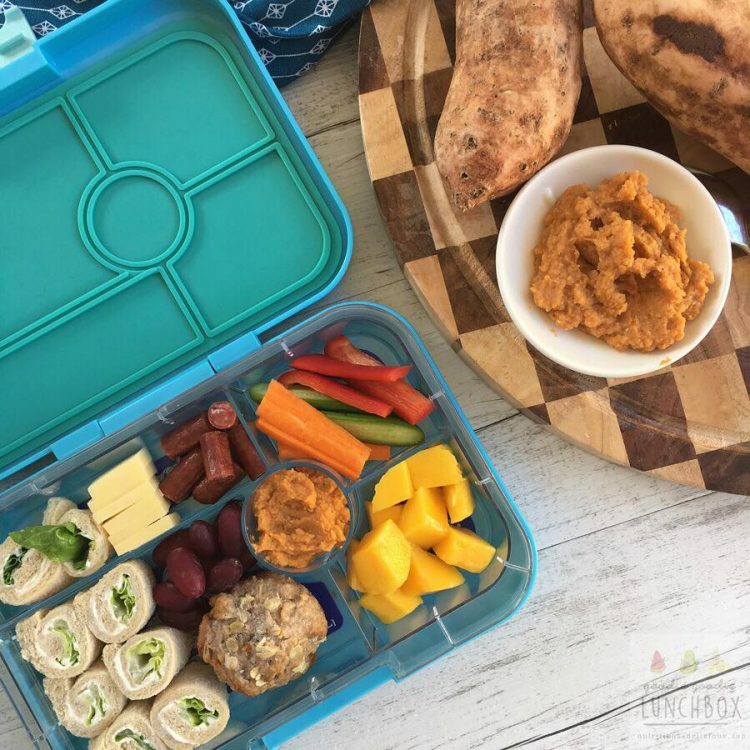 The fact you are offering vegetables in your kids’ lunchboxes is the success. This blog post includes affiliate links. This means I will earn a small commission if you purchase a recommended product, at no extra cost to you. Thanks so much for including my scrolls! What an amazing blog post! So many wonderful ideas and recipes! I will share this to Nutritious Thermomixing!